Firefighters knock down a house fire on Crooks Avenue March 5, 2017. Kaukauna Fire Department photo. 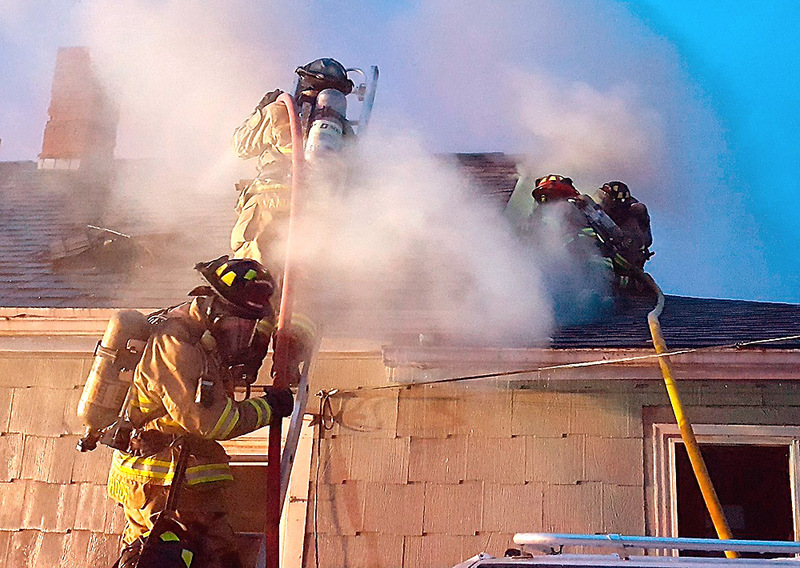 KAUKAUNA — Two residents received minor burns Sunday and a firefighter suffered an ankle injury while battling a house fire on Crooks Avenue, according to a fire department news release. 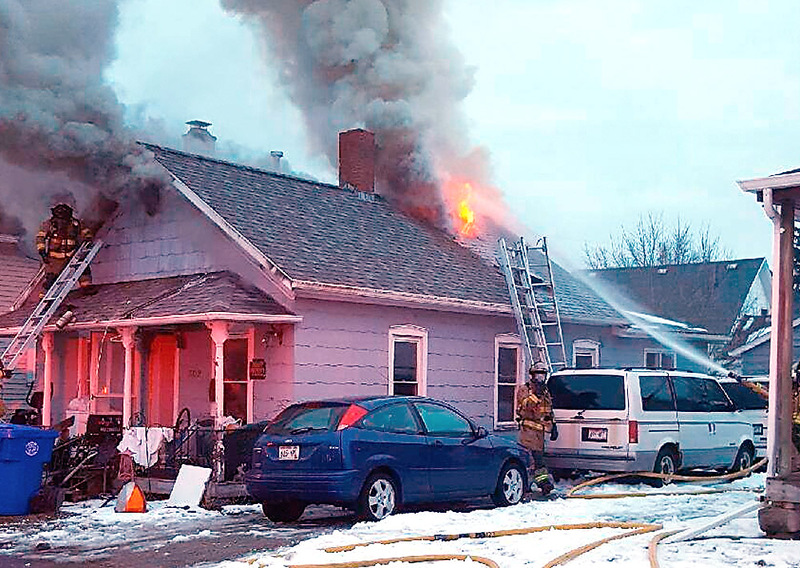 The Kaukauna Fire Department was called at 5:21 p.m. Sunday, March 5, 2017 for a report of a residential structure fire on Crooks Avenue near Eighth Street. Upon arrival, firefighters found that all occupants had evacuated the home, but was heavy fire in the kitchen and smoke exiting from the front and rear doors and eves of the roof. Firefighters conducted an aggressive interior fire attack and quickly knocked down the main body of fire in the kitchen. The fire extended to the attic and firefighters were able to bring the fire under control in an hour and fifteen minutes. Personnel were on scene approximately three hours conducting overhaul operations and extinguishing hidden pockets of fire. The Red Cross is assisting the displaced occupants with various needs. Kaukauna wins fourth state championship in a row!